Registered nurse--specialized in Oncology, stem cell collections, kidney dialysis, diabetic counseling, & case management for work comp injuries and rehabilitation. Ordained Pastor-served Christ Lutheran Church (December 2010-2018), an independent Lutheran Church in Alvord, Iowa. Served on the School of Evangelism Committee. Attended two years of the Lutheran School of Evangelism. Completed the two year Lutheran Lay School of Ministry. Served on the board of directors for Teens Encounter Christ & volunteered. 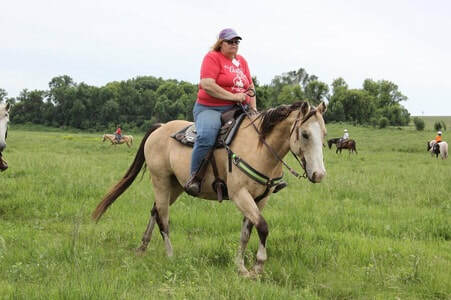 Volunteered and trained at a therapeutic horseback riding center in Brainerd, MN. Completed three-day on-site certification workshop for Therapeutic Horseback Riding with NARHA. Beef production & management degree from WITC-Sioux City, IA. 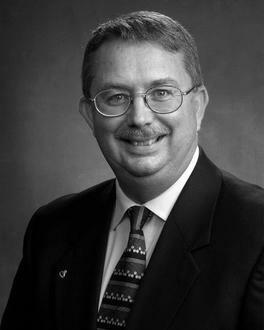 Owner/Insurance Agent at Boer Insurance Agency since 1989. Served on the School of Evangelism Committee. Attended two years of the Lutheran School of Evanglism. Taught Adult Sunday School and Confirmation at Christ Lutheran Church of Alvord for over 15 years. NARHA Certified Therapeutic Riding Instructor. Four year Social Work degree. Inspirational & Gifted Speaker. ​Writer & Teacher of the Word of God. Specializes in prayer ministry. "The disciples came to Him, saying, 'The place is desolate, and the time is already past; so send the multitudes away, that they may go into the villages and buy food for themselves.' But Jesus said to them, 'They do not need to go away; you give them something to eat!' And they said to Him, 'We have here only five loaves and two fish'" (Matt. 14:15-17). I want to talk about how the Lord raises up a mature man or woman of God -- the drives and attitudes that propel a person into a fully committed walk with Jesus Christ. It is essential to realize from the beginning that, when it comes to doing God's will, both the person and God's provision will always seem inadequate. Oh, you will have been prepared, somewhat. You will have studied and prayed, but not enough. You will have faithfully given of your time and finances, but nothing you do will be something you can confidently rely upon. Indeed, when you've done all you could, you will mutter to the Lord your equivalent of the disciples': "We have here only five loaves and two fish." Yet, to know that you are inadequate is a tremendous advantage in spiritual growth. It is a milestone en route toward true spirituality, which is born of dependency on God, not human self-sufficiency. Once a person knows he is inadequate, he will not waste years discovering it. Not a day goes by that I am not aware of my inadequacies. Besides struggling with "feelings" of inadequacy, I know I actually am inadequate. I know the very best of my efforts, in and of themselves, are totally insufficient. The moment I think otherwise, I guarantee failure for myself. While the Lord has many ways to inspire my spiritual growth, the greatest seasons of increase come almost in spite of myself. The process begins with the Lord revealing some task or need that is both absolutely necessary and totally impossible for me to fulfill. My first reaction is to pray, "Lord, raise up someone who'll do the job." But then, when no one else shows up, I realize He wants me to step forward. As I do, I soon hear Him say the words He spoke to His disciples, "You give them something to eat." Sometimes, I hide in the "familiar" tasks I know I can accomplish, but a time of reckoning comes. It usually is a time of pressure or stress that, beginning with the rediscovery of my frailties, ends with me broken and waiting upon the Lord. It is right here, as I am contemplating the pitifully small "five loaves and two fish" which I am offering Jesus, that He says to my heart, "Bring them here to Me." And here is where the miracle of grace begins. For as I surrender myself afresh into His hands, a new dimension in my walk with God starts to unfold, one of supernatural multiplication. "He took the five loaves and the two fish, and looking up toward heaven, He blessed the food, and breaking the loaves He gave them to the disciples, and the disciples gave to the multitudes, and they all ate, and were satisfied" (v.19). Whatever you give to Jesus He will bless and break. A true disciple always carries these two seeming contradictory characteristics. We know His wonderful, undeserved blessing; and we are broken of pride, self-sufficiency and boasting. He lets us know assuredly that, as Christians, we have one source for all of our power. The sooner we realize our effectiveness does not originate in us, but in Christ, the quicker we will experience the miracles that He produces. Indeed, when He reveals to us our weaknesses, it is only because He is preparing us to receive more of His power into our lives. Consider: When Jesus performed the miracle of the loaves and fish, He and His disciples were already weary and needed strength (see Mark 6:31). Added to this came the distressing news that John the Baptist had been beheaded. The Lord was seeking to take His disciples to a place where they could "rest a while." Yet, great multitudes came, perhaps over twelve thousand men, women and children. It was in this very circumstance of weakness that He performed this great miracle of grace. As it was with Jesus, so it is with us: It is when we sense our weaknesses most vividly, that God can use us most mightily! The Lord will continually present to us tasks that we have never done before. He will require of each of us to give our all, even as inadequate as we seem. There will be no "knights in shining armor" in God's kingdom; our armor will have many dings and dents. No, no perfect Hollywood heroes will ride to save the day; just wearied saints who look to God and, in weakness, find Christ's strength. This, indeed, is the essence of God's kingdom: divine greatness manifest in common people. In these days ahead, the Lord is going to show you a need that will seem absolutely beyond you to perform. Your natural response will be, "I'm just an average person with limited resources. I can't do what He's asked me to do." Yet, if you will be still, you shall soon hear your Master's voice quietly, confidently saying, "Bring the need to Me." Do as He commands, for as you give the insufficiency of your skills and your pitiful provisions to Him, He will begin to bless and break you, and then multiply what you give Him miraculously. In all my years of ministry, I know of no transforming grace greater than that which comes when, in spite of our inadequacies, we obey God in the face of the impossible.